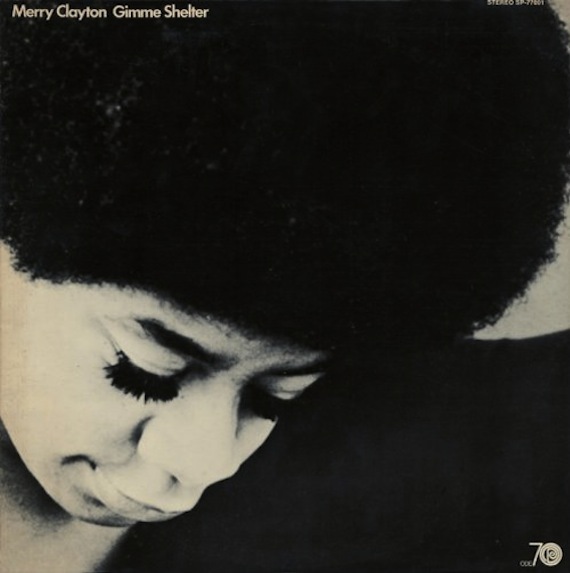 I’m re-posting Merry Clayton’s version of the Stones “Gimme Shelter” for a couple of reasons. Primarily because I’ve been completely mesmerized by this recent post, over at Dangerous Minds, going over the various isolated tracks used in the studio while cutting “Gimme Shelter” for Let It Bleed. As if the song weren’t haunting enough as is, listening to Jagger and Merry Clayton’s isolated vocals towards the end is near shiver inducing. The second reason? More people need to get hip to Clayton’s soulful run during the 70s. This is a good place to start. She also did an absolutely riveting version of “Southern Man” that’s worth digging up. listened to the isolated tracks last night after listening to the entire brussels set. woman shreds it. can’t wait to listen to her version. thanks guys. so funny. i’ve been completely mesmorized by these tracks all day too! I have set my mp3 player on repeat for one particular tune and spent the entire time out on my bicycle listening to “Gimme Shelter” over and over again just to hear the intro with Nicky Hopkins’ thunderous piano, the crack of Charlie smacking that snare and (OMG) Merry Clayton’s haunting, mesmerizing, vocals. There are a few songs over the years, during the cassette tape days, that I would record one tune over and over again on both sides of a 90 minute cassette. Those songs were few and far between. This song alone warrants it’s own Internet radio station playing it non-stop 24/7!!! You may like to know that the MerryClayton albums ‘Gimme Shelter’, ‘Merry Clayton’ and ‘Keep Your Eye On The Sparrow’ have just been reissued by Repertoire Records…you can get ’em on Amazon and the usual places.